A serious case of the tropical disease “chikungunya” has now been found in Bangladesh. Chikungunya is a debilitating, mosquito-borne virus typically found in hot, tropical areas. It is not deadly but can leave victims unable to function in a normal way for days or even weeks on end. Chikungunya was originally identified in East Africa shortly after the Second World War and then spread to Asia in the early 2000s. The first European cases were reported about five years ago. Today, 74 countries — including the United States — are dealing with the disease. Health experts are now taking the opportunity to recommend people take certain precautions when heading into areas where mosquitoes are active. For example, use bug spray, avoid standing water, and wear long sleeves and pants when heading into tropical or wooded areas. Chikungunya (pronounced chick-un-GOON-ya) is a viral disease similar to Dengue Fever in that it spreads to humans through the bite of an infected mosquito. Long a plague to tropical areas of Asia, India, and Africa—Chikungunya has infected roughly 250,000 Caribbean inhabitants (in mosquito-dominated areas like Dominican Republic, Guadeloupe, Haiti, and Martinique) since it’s arrival in December of 2013 and has even caused localized outbreaks in some parts of Europe as well as cropping up in North America. In fact, U.S. Public Health Officials deem the Chikungunya a threat—already 73 American travelers have returned from travel abroad with the disease home from abroad while 15 reported U.S. residents were infected in Puerto Rico and the U.S. Virgin Islands. It’s only a matter of time before outbreaks begin in the U.S., according to Paola Lichtenberger, the Director of the Tropical Medicine Program at the University of Miami. Along with cold, clammy skin, Chikungunya often causes a rash to develop on the face, trunk, and limbs, which presents in tiny purple or red spots, or patches across the skin. 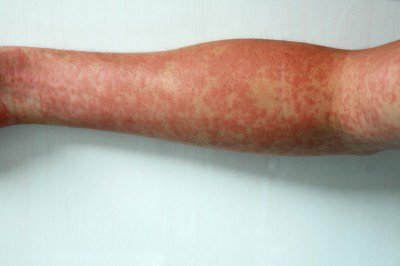 However, only about half of those afflicted with Chikungunya disease develop this rash. Swollen legs, a condition known medically as pedal edema can suddenly occur in individuals infected with Chikungunya. Even though the cause of abrupt swelling is unknown, physicians are unable to relate it back to any existing hepatic (liver), cardiovascular (heart), or renal (kidney) issues. Doctors at the World Health Organization claim that swollen legs, in addition to several other symptoms of Chikungunya, will present within 4 to 7 days of being bitten by an infected mosquito. Insects pass along the viral disease via Aedes aegypti and Aedes albopictus. The swelling and joint pain associated with chikungunya give the disease it’s Kimakonde names, which translates “to become contorted”. A high fever will develop early on as one of the primary symptoms of Chikungunya infection. Fever can last a few days with temperatures soaring as high as 104-degrees Fahrenheit (or 40-degrees Celsius). Chikungunya disease is sometimes confused with dengue fever as the two condition can share similar symptoms, such as high fever. Doctors at the World Health Organization claim that although Chikungunya is very painful, the disease is hardly ever fatal. 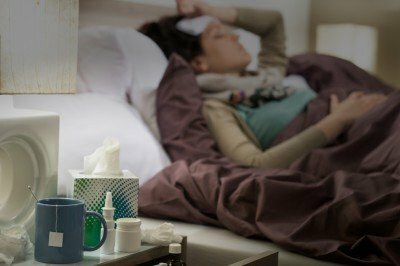 Patients will suffer with mild to severe symptoms fro between 2 to 3 days, with the virus remaining in the human system for roughly 7 days. During this time of infection, any mosquitoes that bite and feed from an infected person can then become infected and pass along the disease to others. The term “Chikungunya” means “to become contorted” in the Kimakonde tongue (an African language spoken by the Makonde people). The term literally explains the painfully contorted appearance of those afflicted with Chikungunya joint pain—which can range from debilitating arthralgia (or joint pain), stiffness, joint swelling of the extremities (i.e., arms and legs), and in extreme cases, lengthy arthritis pain (lasting for months or even years). Along with the common high fever (very similar to Dengue fever), Chikungunya disease will commonly show signs of joint discomfort first. Joint pain can exist in the wrists, ankles, knees, and lower back, and joint pain is often present with signs of joint swelling, muscle pain and weakness, headache, nausea, fatigue, rash, and headache. Similar to Dengue Fever, Chikungunya infection can result in distorted vision or eye issues—such as ocular inflammation from iridocyclitis—which causes eye redness (or conjunctivitis), eye tissue inflammation, retinal lesions, and clouded vision. 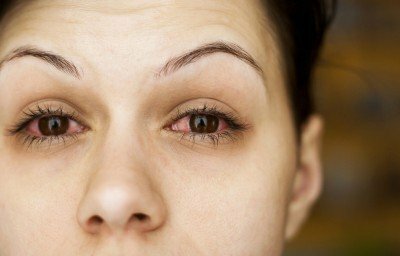 According to medical researchers, Chikungunya disease will often effect ocular health, including causing blurred vision, red eye, eye irruption, ocular pain, floaters (or vision spots), watery eyes, photophobia, and diplopia. Anterior uveitis may also occur due to increased intraocular pressure. Retinitis (or in this case, Chikungunya retinitis) will cause retinal whitening. Like joint pain, swelling and deep muscular pain (or myalgia) can develop deep in the muscles of the extremities. Extreme muscle fatigue and weakness is also very common with Chikungunya infection. According to medical researchers at the University of the West Indies at Mona, Jamaica, muscles aches and pain are among the most common symptoms of Chikungunya disease. Researchers suggest that Chikungunya disease usually shows itself with flu-like malaise or symptoms such as muscle stiffness (particularly in the wrists, ankles, and lower back), headache, joint swelling and pain, high fever, ands skin rash. Although death due to Chikungunya disease is uncommon, residual muscle and joint pain and stiffness can linger months and even years. Chikungunya disease is often mistaken for influenza or Dengue fever because of the flu-like symptoms—including headache, fever, swollen glands, fatigue, nausea, vomiting, and neck stiffness. Most patients improve within 10 days of infection, although joint pain can linger for weeks or even months. A study comparing the symptoms of Chikungunya and Dengue was published in the Internet Journal of Microbiology, and concluded that skin rash, triad of fever, arthralgia (or pain in more than one joint of the ankles, knees, fingers, wrist, elbows, and toes) are common symptoms of both dengue fever and chikungunya infection. 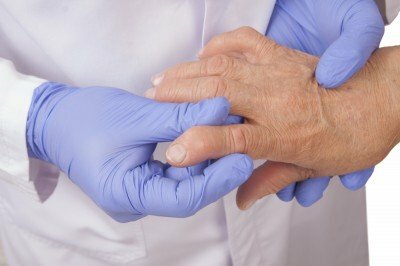 The study noted that arthralgia can persist for months and even years with lingering disability and loss of mobility continuing for weeks to months after the disease is gone. Many Chikungunya patients have complained of chronic arthritis that can last years following infection even though health experts are unsure why. Some doctors speculate that the initial infection leaves behind an acute infection, which translates to chronic musculoskeletal pain, prolonged arthralgia (joint pain and swelling), and chronic myalgia (muscle pain and swelling) for up to 3 years following initial infection. 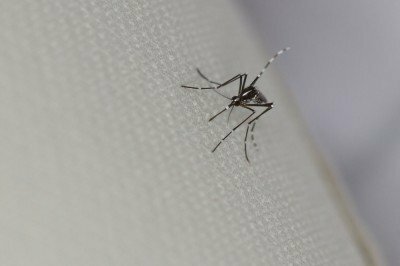 According to medical researchers at the Washington University School of Medicine in St. Louis, roughly 30-percent of patients infected with Chikungunya disease develop chronic arthritis that may last for years. Typically, the virus won’t cause death, however, it often results in acute arthritis-like symptoms or chronic, long-term joint pain in elderly and newborn patients.